Largely overlooked in the coverage of last Friday’s release of a report confirming Russia interfered with November’s presidential election is the latest round of evidence showing Russia has also been attempting to undermine another U.S. institution — the shale revolution. The following excerpt buried on page 18 of the Office of the Director of National Intelligence (ODNI) report reveals Russia used its state-funded television network, Russia Today (RT), as a platform to push anti-fracking disinformation aimed at harming the U.S. shale industry and protecting Russia’s global market share. 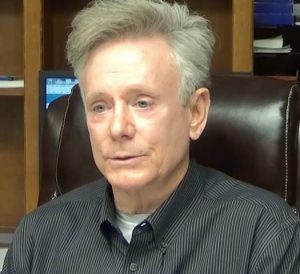 This cozy collaboration between leaders of the U.S. anti-fracking movement and RT considered, we would be remiss not to note it was just three months ago that leaked documents containing a number of private speeches given by Hillary Clinton confirmed long-held suspicions the Russians have been funding what she called “phony” anti-fracking efforts across the globe. 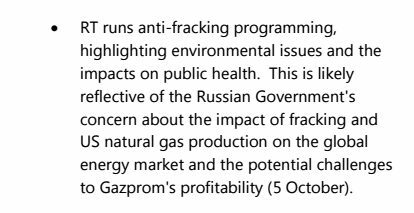 As The New York Times reported 2014, there is also circumstantial evidence that Russia was backing anti-fracking groups in Eastern Europe in an effort to curtail shale development there and preserve its market share. Though most of the Eastern European shale prospects Clinton spoke about have not panned out, that hasn’t kept shale gas from presenting a threat to Russia’s energy dominance in the region. 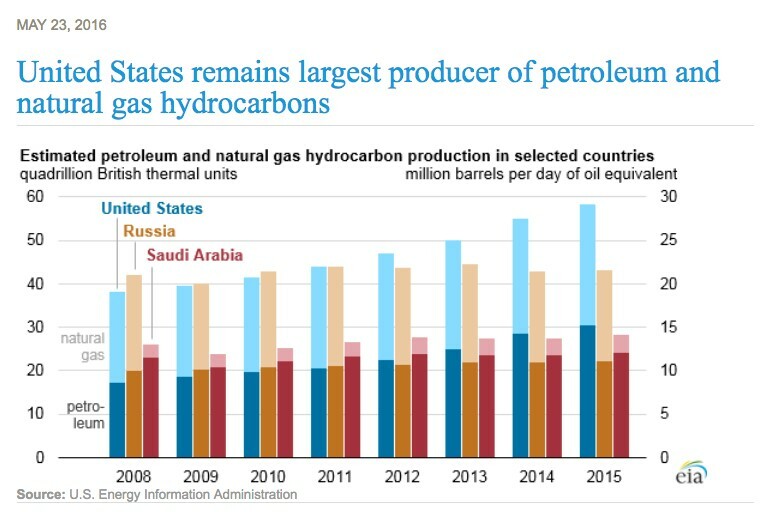 That’s because fracking has led to U.S. natural gas production surging nearly 50 percent the past decade — allowing the U.S. to surpassed Russia as the world’s top natural gas producer, as the following Energy Information Administration chart illustrates. This record production allowed the U.S. also export 50 Bcf of liquefied natural gas (LNG) in the first six months of 2016. The U.S. Energy Information Administration (EIA) also projects U.S. LNG exports averaging 1.3 Bcf/d in 2017 and predicts the U.S. becoming a net natural gas exporter in the second half of next year. These developments would have been unimaginable just five years ago — and many of those LNG exports will continue going to countries that were once reliant on Russia, further cutting into its global market share. The latter is amplified by the fact that Russia’s economy inordinately relies on energy and has been hit hard by the recent market downturn. This would also explain why Russian president Vladimir Putin has said places that allow fracking “no longer have water coming out of their taps but a blackish slime” and Russian state-owned gas company Gazprom has said fracking poses “significant environmental risks” to water supplies. If these claims sound familiar, it’s probably because they are alarmingly similar to the ones repeated by the Keep-It-In-The-Ground (KIITG) movement. So in many ways, KIITG’s agenda mirrors that of Russia. Obviously, that agenda is not in the best interest of America or the rest of the world.